Saturday, March 6, 2010 from 4:00 to 6:00 p.m. 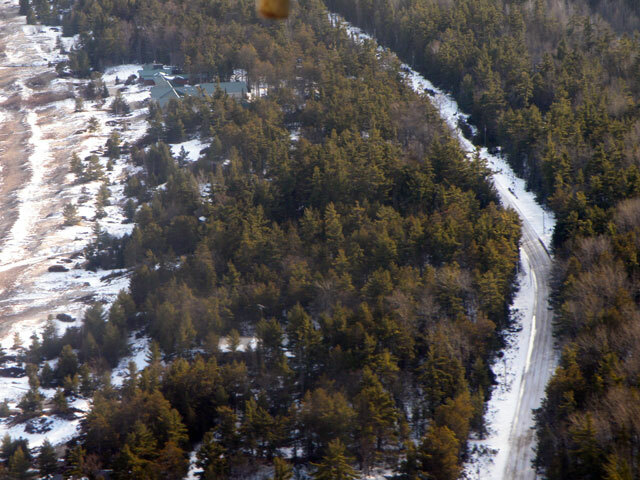 The Beaver Island Community Center Public Information Meeting on Quality Deer Management (QDM) will take place on Saturday, March 6, 2010, from 4-6 p.m. featuring Bob DuCharme, the Regional Director of the Quality Deer Managemen Association. This event is co-sponsored by the newly formed Beaver Island Conservation Club and the Beaver Island Chamber of Commerce. Whether you are for or against this new organization, for or against QDM, or just want to get some information, this meeting will get you what you need. 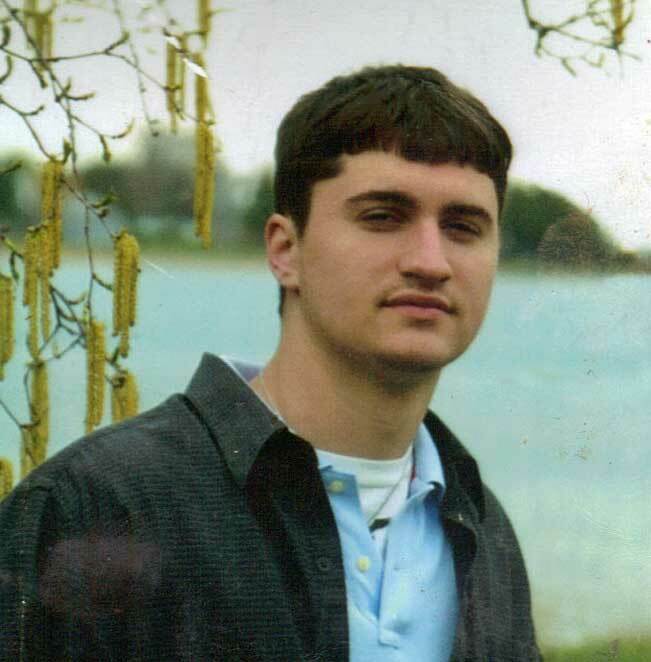 Brett Maudrie, son of Ed and Kathy Maudrie, grandson of Jewell and Rita Gillespie and Clarence and Norma Maudrie, has enlisted in the U.S. Army. He will be heading to Fort Benning, Georgia, on March 2, 2010, to begin his sixteen week basic training, which will include four weeks of advanced individual occupational specialty training. Good luck, Brett, in this endeavor! Come Help Celebrate St. Patrick's Day! 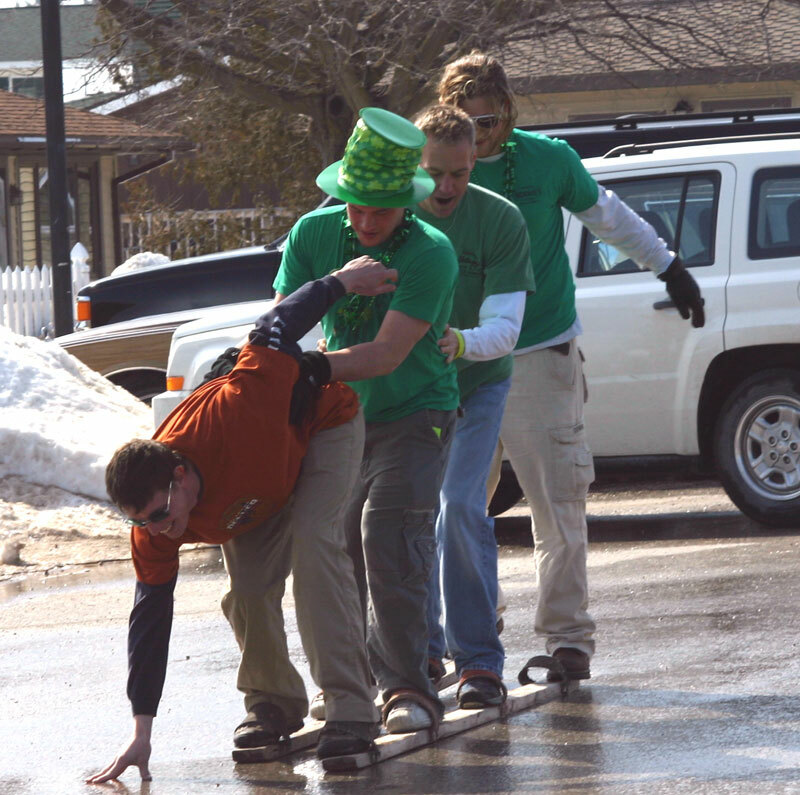 One of the most fun and highly celebrated weekends on Beaver Island is the St. Patrick's Day Celebration Weekend. The games are fun, either to participate or to watch. The music and entertainment is non-stop from Friday night throughout the day on Saturday. 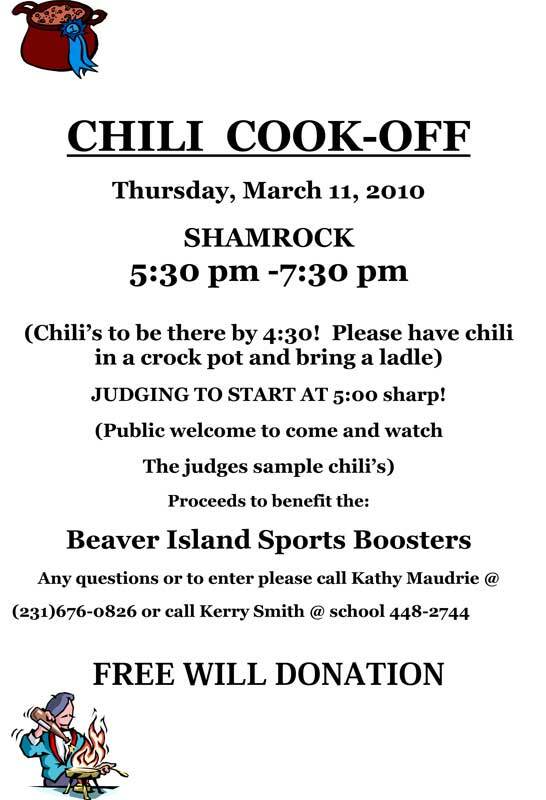 March 20, 2010 is the day for this celebration on Beaver Island. That does not mean that a celebration will not take place on the BIG day itself, but the games will take place on the following Saturday. 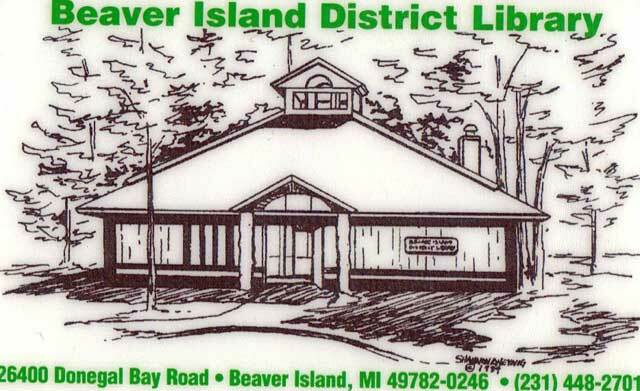 Have you “checked out” the Beaver Island District Library lately? If you haven't, you should stop in and see all that your local library has to offer. Spend some time in the Langford Music Room listening to the choice of the day, or borrow some headphones and play your choice of tunes in the individual CD players. You can even download music to your computer! Like audio books? We have hundreds of books on tape and CD. A terrific way to “read” a book if you spend a lot of time in your car, or while working. We have patrons who think this is a great way to do housework, while listening to a book. There is a huge variety to choose from from biographies to fiction and non-fiction. Rather have a “real” book? We have large-print, westerns, fiction, non-fiction, biographies, science fiction, a Great Lakes, Michigan, Irish, and Beaver Island collections. From the best sellers to old favorites you can enjoy the written work of a huge variety of authors. Many, many of our books are on the best seller lists. We don't have a book you'd like to read? We can inter-loan it for you. While this may take anywhere from a few days to a couple weeks, most books can be loaned to us from other libraries. Want to spend an evening with a movie? We have over 2,000 videos both in VHS and DVD format. Many of the DVD's are new releases and being added to all the time. There are hundreds of children's videos too. Not interested in a book or a movie? How about a music CD? We have a wonderful collection of jazz, classical, western, opera, island, and Irish music that can be checked out just like a book. Computer down? Forgot to bring yours? Don't have a fast connection to the internet? Come to the library and use one of our four public computers or bring your laptop and find a comfortable chair. WiFi is available 24/7 for our patrons. Want to return your items but the library isn't open? We have a drop box available just outside the office window. The library also offers Notary services if needed. Copies can be made. You can send or receive a FAX. 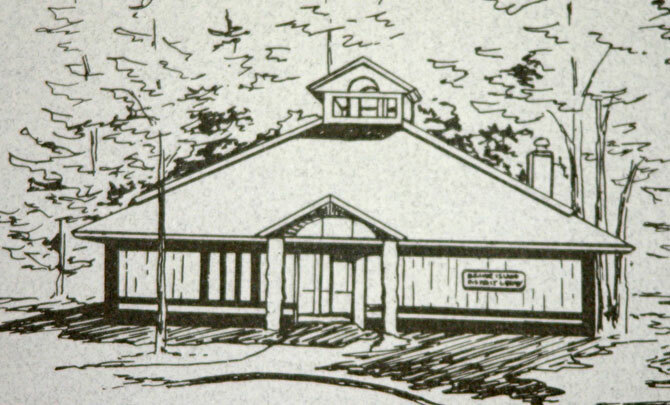 It's all available at the Beaver Island District Library. Stop in and get one of our new library cards. It's easy and painless. You'll receive two cards, one for your wallet and one for your keychain. A library card is required for checkout, and you must be 18 to receive one. Parents can include their children on their card. Come visit the library. 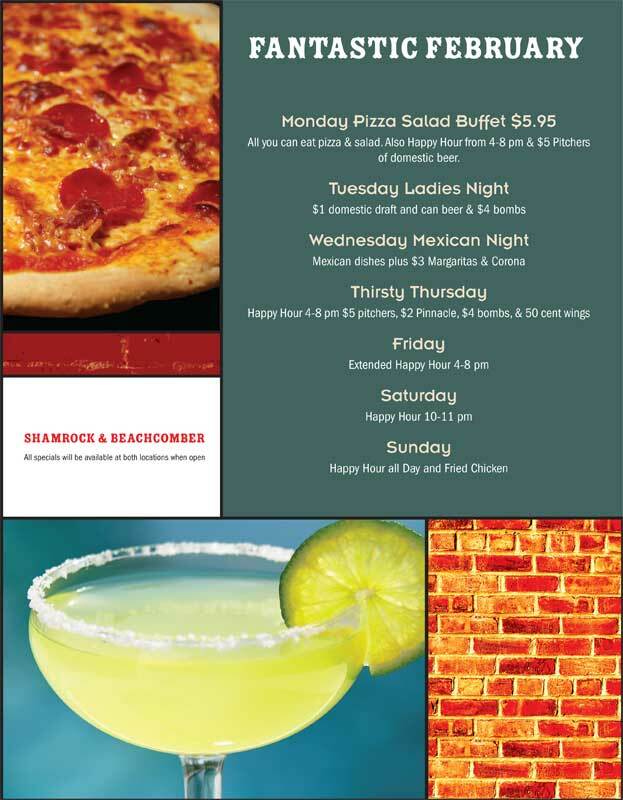 We think you'll be impressed with what we have to offer our patrons. Friday night basketball on Mackinac Island had Beaver Island Lady Islanders with 30 points losing to Mackinac Island Lady Lakers with 37 points. Listening to the game tonight on radiomackinac.org? The Beaver Island Islanders were up three points at halftime against the Mackinac Island Lakers, 26-23. The Islanders were victorious in this game against the Lakers with the final score of 61 to 41 with Bryan Timsak leading the team with seventeen points. On Saturday morning, the Lady Islanders won with a score for Beaver Island of 43 points with the Lady Lakers scoring 28 points. Congratulations, Lady Islanders! The Islanders, although winning last night, were not on their game today, and lost on Saturday with a score of 38 points with the Lakers scoring 41 points. The girls were definitely NOT on their game Friday night...They struggled early....caught up in the 4th quarter to bring the game within in 4 but ran out of steam (for the first time ever) to end up with only 30 points is very unusual for our girls team! On Saturday Mackinac Island (boys & girls) could only count it as a scimmage since thay have played "20" varsity games ending on Friday! So they played their team differently- the girls Mack team started different players which included some 8th graders (who were very scappy). We were able to get a 10 point lead early so when they put in their full 1st string they weren't able to bring it back....Our girls actually palyed a better game even though Mack played their girls differently! We were more aggressive than the night before! The boys team- Beaver Island started the 8th graders, the seniors were lucky if they even played 4 minutes out of the whole game....Dan was trying to get the younger boys to work more together...that's why their score was so different on Saturday! Update: The DVD has been sent to the duplicator. It was sent by first class mail on February 24, 2010. 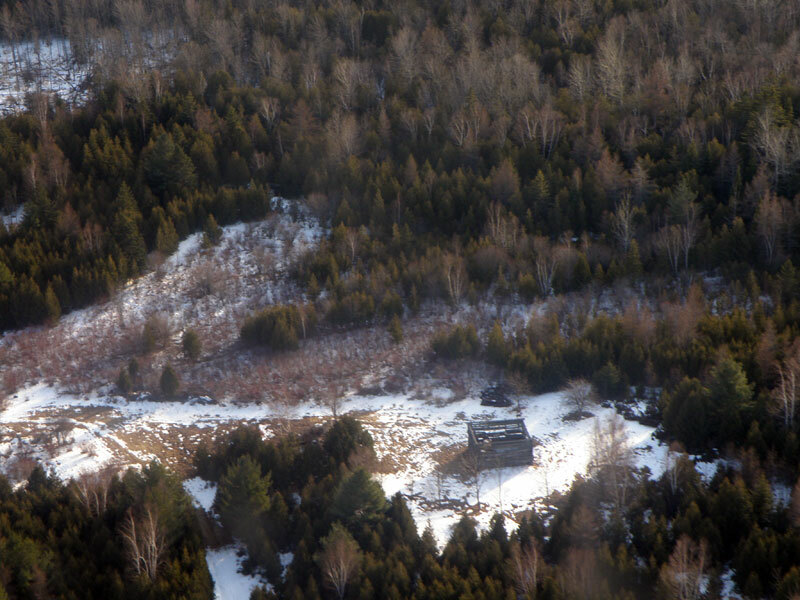 Two days after the deadline for permissions, February 22, 2010. It should be available by St. Pat's Celebration Weekend. 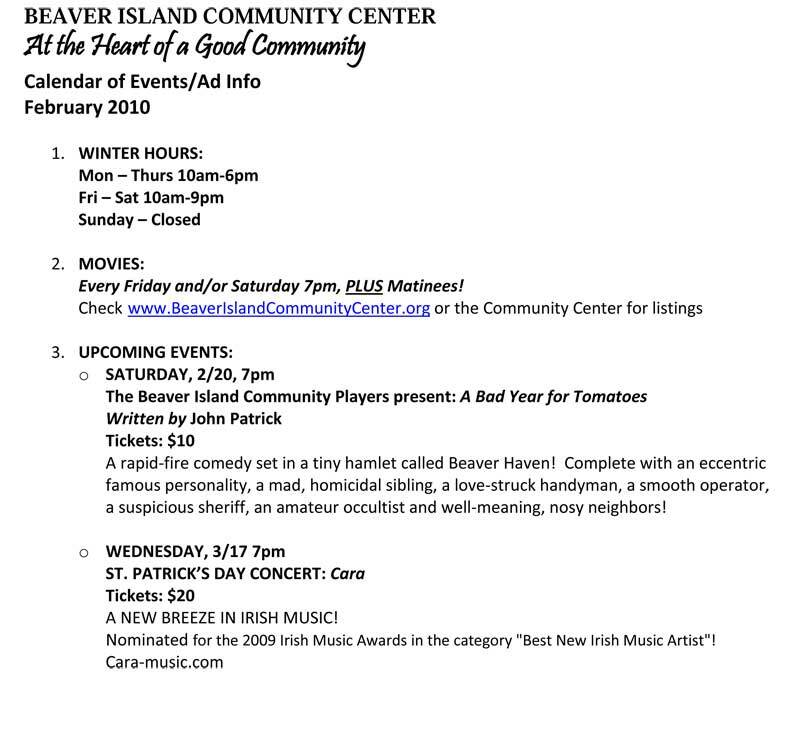 All of these emails have completely trusted the motive for this project, which is to raise money for Beaver Island charities. Four charities have been chosen to receive money from this project. They are: the Beaver Island Rural Health Center, the Beaver Island Community Center, the Beaver Island Food Pantry, and the Beaver Island Fire Department Auxiliary. All money collected after costs are paid will be divided equally and given to these four organizations. What does this DVD document? It documents wildlife including eagles, ospreys, loons, and beaver; holiday celebrations, and news items that were completed in public places that do not need permissions. 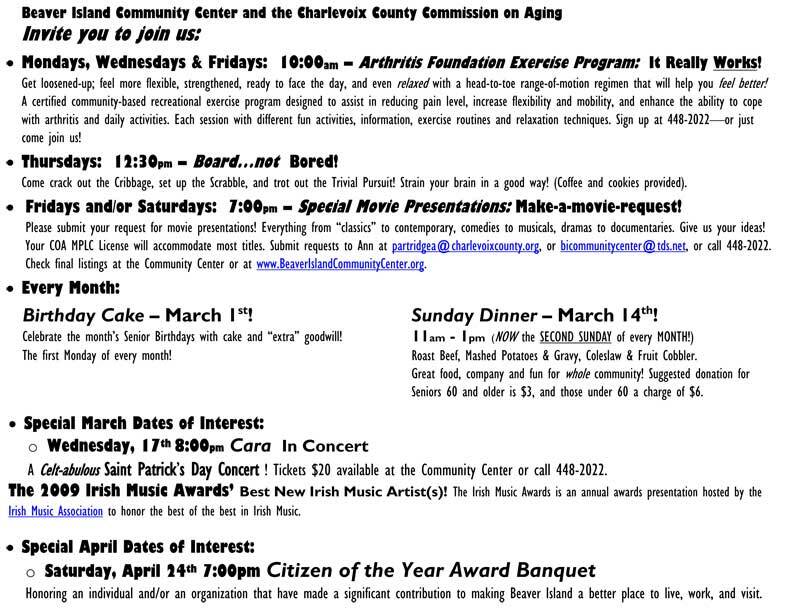 It documents Music on the Porch and some Museum Week presentations. 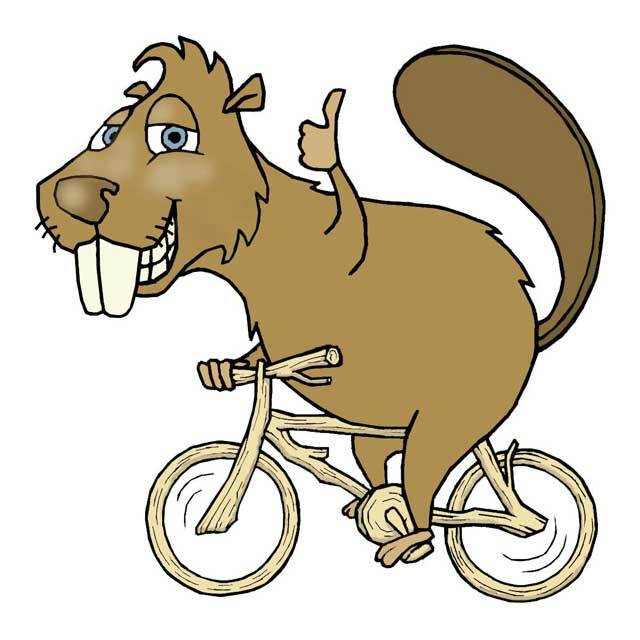 It documents the first ever Beaver Island Marathon. It documents musical performances by Island musicians as well as visiting musicians. This DVD has a little something for everyone. It provides high quality video of events that have been previously viewed on Beaver Island News on the 'Net. 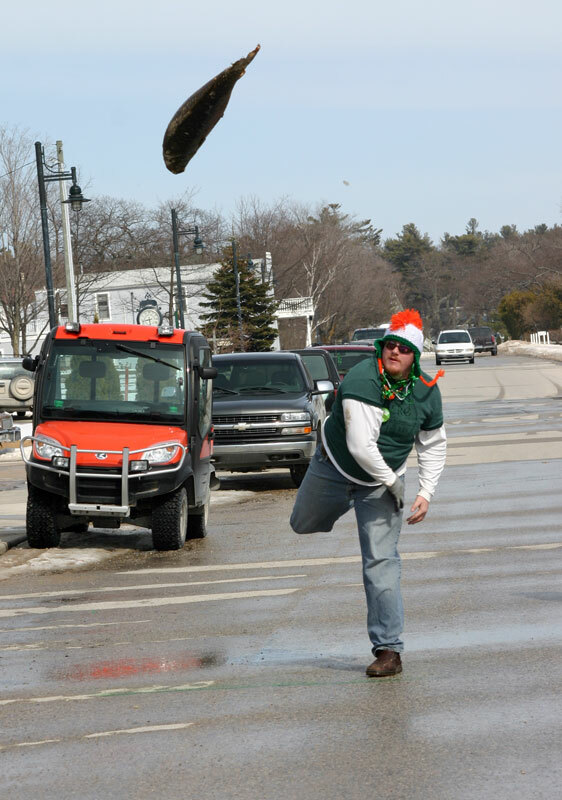 Barring duplication delays, the DVD is planned to be released on St. Patrick's Celebration Weekend, March 20. 2010. You can pre-order your DVD today by sending $20 plus $5 postage to DVD, c/o Joe Moore, P.O. Box 50, Beaver Island, Michigan 49782 or you can order yours over the Internet from the provided link. Today, February 18, 2010, the Beaver Island health class students (Health Occupation Students of America (HOSA)) left to travel to Ferris State University to compete in HOSA's Regional Competition. Each of the fourteen Beaver Island students chose a health occupation that they found interesting. They spent time learning about that health occupation, and today they will compete against other students in knowledge about their choice. Jenna Battle and Olivia Schwartzisher will compete in Medical Terminology; Kaylyn Jones in veterinary medicine; Dereck McDonough and Matt Cull in Sports Medicine; Michael McCafferty and Billy Lemmink in Forensic Science; Brighid Cushman in Public Speaking; Alex Kuligoski and Brogan Maudrie in Medical Photography; Gus Connaghan, Jamie Campbell, Dan LaFreniere, and Claire Kenwabikise in Medical Poster. Each of the 14 students has been working since October on their chosen event, and are very excited about the competition. If any of our students score in the top ten of their category, they will advance to the state competition in April. 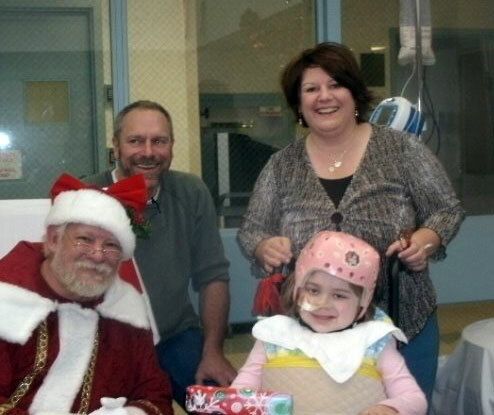 Their instructor is Sarah McCafferty, paramedic, EMS instructor, and director of Beaver Island EMS. Good Luck, Beaver Island HOSA students at the regional competition! Kaylyn Jones, Alex Kuligoski, Brogan Maudrie, and Claire Kenwabikise placed in the top 10 in their category at the HOSA Regional Competition. Brighid Cushman received a bronze medal in her competition, Michael McCafferty and Billy Lemmink received bronze medals, Jamie Campbell received a Gold Medal for Health Poster Competition, this years topic was The Medical Field, Yesterday, Today and Tomorrow. All of these eight students have the opportunity to participate in the State HOSA competition. The trip was a great learning experience, and I am sopProud of each and everyone of the Beaver Island HOSA students. 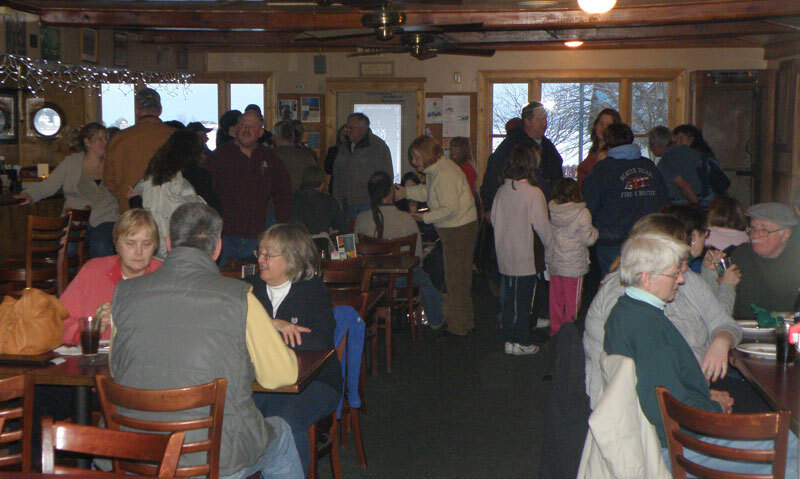 There was a free will donation pizza buffet at the Shamrock on February 22, 2010 from 5-8 pm. The cars lined both sides of the street downtown from the hardware store up past the Transit Authority. The food was good. The company was better. The reason for the pizza buffet was to help cover the exhorbitant medical costs incurred by Rory Connaghan in his illness. Rory has not had a serious attack since the first of the year. Thank goodness! 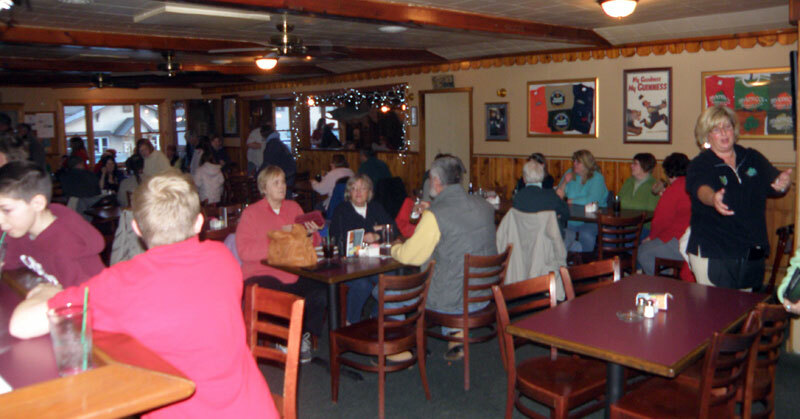 The Shamrock was full of patrons willing to help with the medical expenses. If you wish to help with Rory's medical expenses please make any checks payable to Rory Connaghan, Beaver Island, MI 49782. 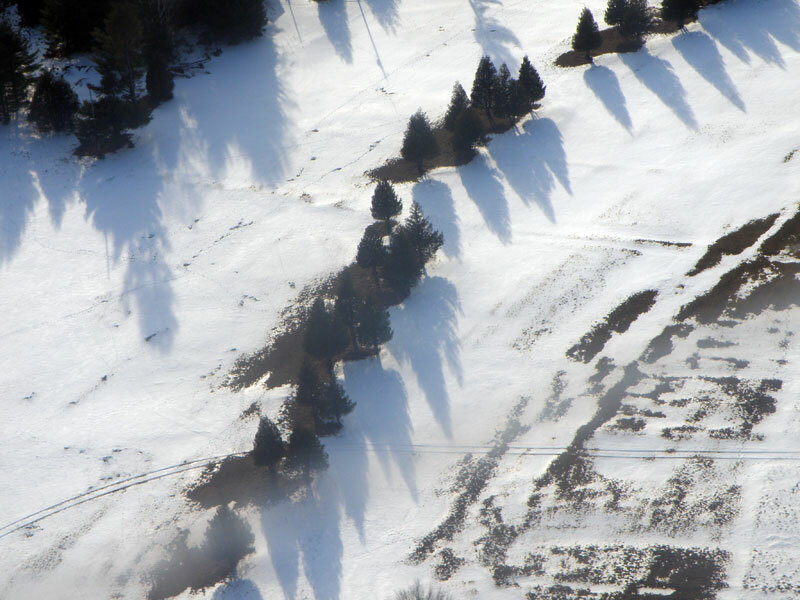 As we flew over the golf course, you can still see there is snow on the fairways, but not really any serious depth there. 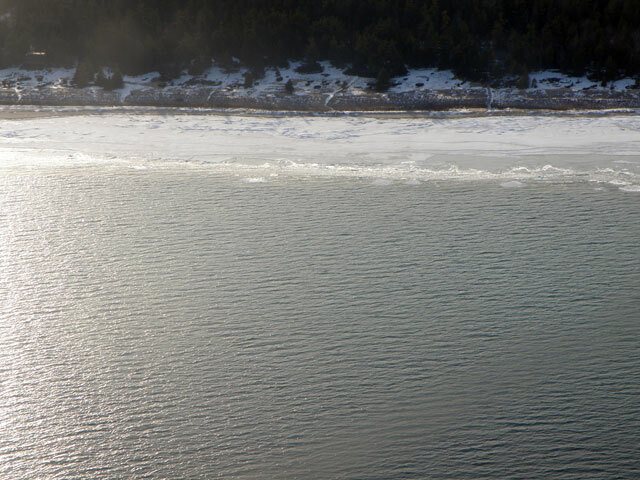 As the shoreline was approached, the surprise was that it was mostly open water from Beaver Island to Charlevoix. 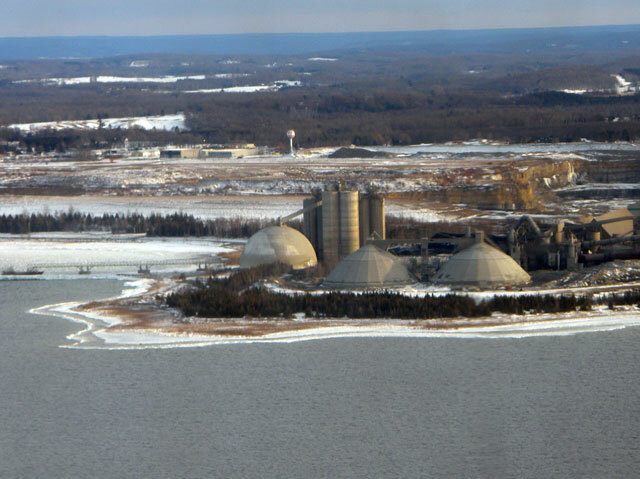 The cement plant didn't really have that much ice out from its shoreline either. To make it all the more interesting, the channel leading from Lake Michigan to Round Lake and up to the Beaver Island Boat Dock in Charlevoix was completely free of ice as well. Is the boat going to run early? The Beaver Island Rural Health Center announced this morning that Dr. Murray Cotter, Dermatologist, will be seeing patients at the rural health center beginning on April 23, 2010. Dr. Cotter is a member of the Dermatology Assoiciates of Northern Michigan, P.C. and the director of this group. Dr. Cotter completed medical school at the University of Michigan followed by a residency in Dermatology at the University of Utah. He has also completed fellowship training in the Mohs Surgery and Cosmetic Dermatology at the University of California at San Francisco. Dr. Cotter is board certified in Dermatology and is pleased to be back home in Michigan providing the full spectrum of skin care at their offices in Petoskey, Gayloard, St. Ignace, and Beaver Island. 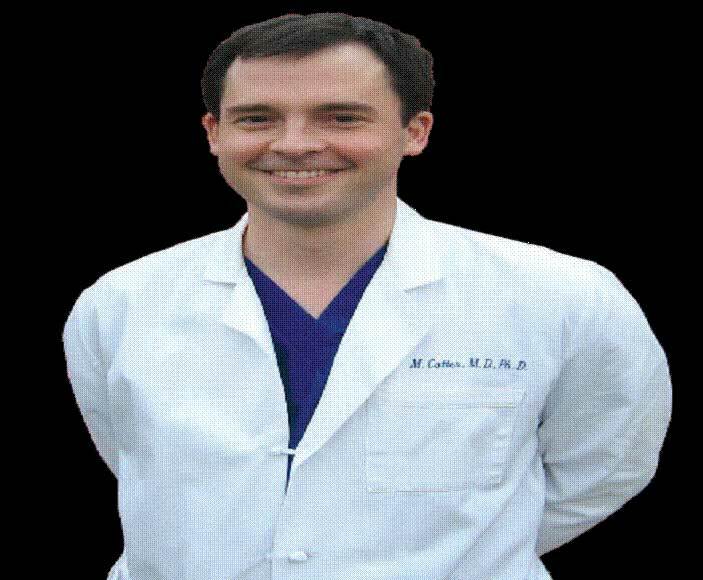 To make an appointment with Dr. Cotter, call his office 231-487-2230. They will schedule you for your appointment here at the BIRHC. 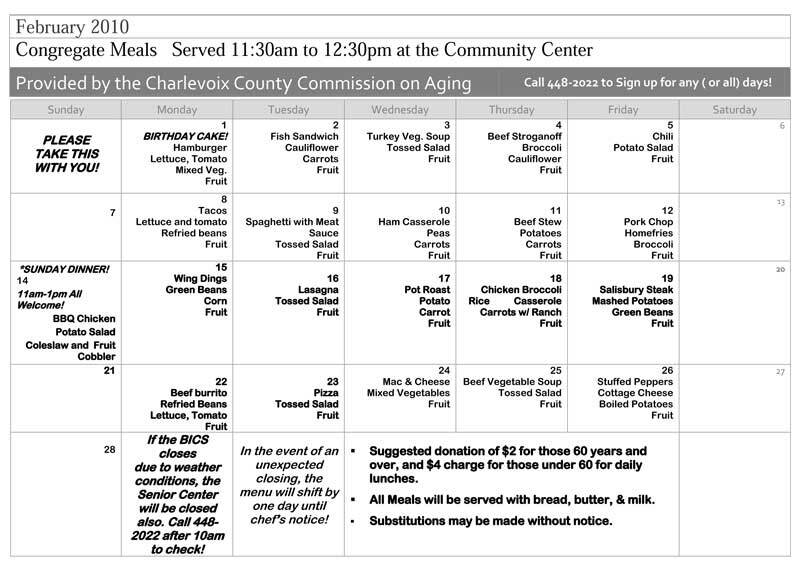 If you need further information, please call the BIRHC at 448-2275. The Islanders traveled to the tip of the Leelanau Peninsula this past Tuesday to play the Northport Wildcats in a pair of non-conference basketball games. While the hosts were very cordial and welcoming off the court, once the games tipped off they were tenacious, intense, more physical and more experienced than any other opponents the Islanders play. That combination didn't bode well for the Green and White, and despite the hard play over the two games by the Islanders they came up short in both contests with the girls losing 52-38 and the boys 59-39. The defensive pressure applied by both Wildcat teams created numerous turnovers in each game, often leading to easy baskets by the 'Porters. Each Northport team also had strong senior leaders, the girls with Bryton Collins and the boys with Jason Tropf. Collins finished with eight points and seven rebounds while Tropf led all scores with 24 points in the boys game and pulled down 11 rebounds. A versatile 6-4 player, Tropf hit one three, missed an attempted break-away dunk, and showed he is an All-State caliber player for the 7-5 Wildcats. Alex Kuligoski and Claire Kenwabikise led the Lady Islanders with eight points apiece. Kristy Bousquet added six, with Olivia Schwartzfisher, Olivia Cary, and Jenna Butler all netting four. Brighid Cushman finished with three and Jenna Battle added one. The girls trailed 12-6 after the first quarter and 20-10 at the break. A 6-2 run to open the third quarter pulled them back to 22-16, but the Wildcats responded a 16-6 run to close the quarter holding a 38-22 advantage. The Islanders outscored the Wildcats over the final eight minutes 16-14, including a nice 11-4 run over the closing minutes. The boys managed to stay closer to their Wildcat opponents through the first half, building early leads of 4-2 and 6-5 in the opening quarter before Tropf scored a pair of inside buckets to put the 'Porters ahead 9-6 after eight minutes of play. Northport opened the second quarter on an 8-2 run, but the Islanders countered with a similar scoring spree capped by a Billy Lemmink triple to stay within three at 19-16 before the Wildcats closed the half with a 23-18 lead. Three more three-pointers, two by Lemmink and one by Gus Connaghan kept the Islanders in striking distance heading into the final quarter, 36-28. But an 11-0 run by the Wildcats to start the final period took the air out of the Islanders sails and an 8-0 Northport run late in the quarter sealed the Islanders fate. Bryan Timsak and Connaghan each scored 10 for the Islanders. Lemmink added nine and Dereck McDonough eight. Cameron LaVasseur rounded out the scoring with two points. Northport coach Jeff Tropf summed up the game this way, "We played pretty well at times, but I think we just had a little more athleticism is all." But Tropf also acknowledged the efforts of Islanders seniors Timsak and McDonough. "You've got a couple great players and I told both of them they are great athletes and just fun to watch." Tropf was also impressed by one of Connaghan's long treys, "He hit a three-point shot from the volleyball line and not many kids can do that." He also commented on Lemmink's triples, "He hit three of those right in our face and we shouldn't let that happen." Both Northport coaches, Tropf and Casey Wilcox (Islanders Superintendent Kitty McNamara's niece) said they enjoyed the games and would like to see this event happen again. "I'm hoping we can set this up yearly," Wilcox said. "It would be a lot of fun." Tropf capped the night by saying, "They were great games, great fun, and it was a great night all the way around." 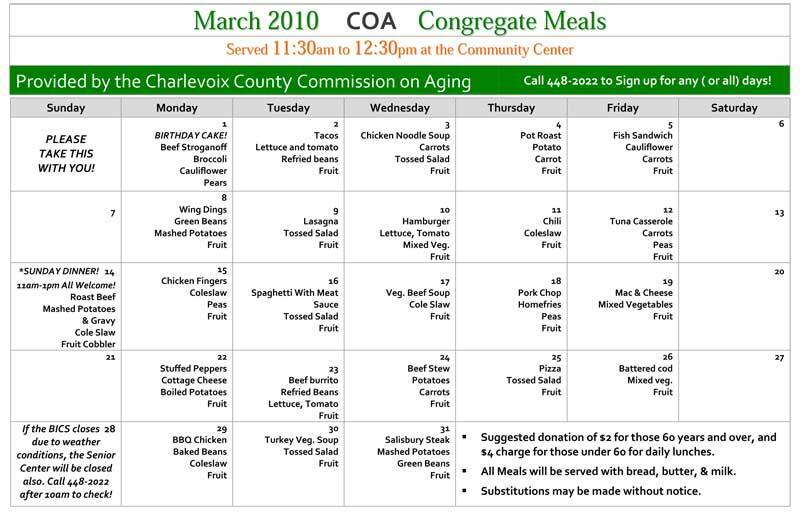 The AMVETS Post #46 Ladies Auxiliary will raffle off a Corned Beef Dinner on Friday, March 19, 2010. The Dinner will include everything needed for a boiled corned beef dinner. Ticket sales will be from 5:00 to 7:00 PM at the Shamrock, Beachcomber and Donegal Dan's Pub, with the drawing shortly after 7:00 at Donegal Dan's Pub. Tickets are $1.00 each or 6/$5. Look for these ladies to buy your chance on a good old-fashioned Irish meal. Sorry, you have to cook it yourself! Proceeds from this raffle will be used to help the Auxiliary sponsor their community projects. While the editor was unable to attend the meeting, arrangment were made with Mike Hurkmans to attend and video tape the meeting. The editor was teaching an EMT-Specialist class at the governmental meeting. However, the meeting can be viewed by video tape, and after spending several hours capturing, editing, converting, and uploading the 44 video clips from the meeting, the editor feels competent to make a few comments. The animosity between individual board members and between the board members and members of the audience is quite obvious. When the subject of reappraisal came up in the meeting, there were many strong views about how and when this work would get done. 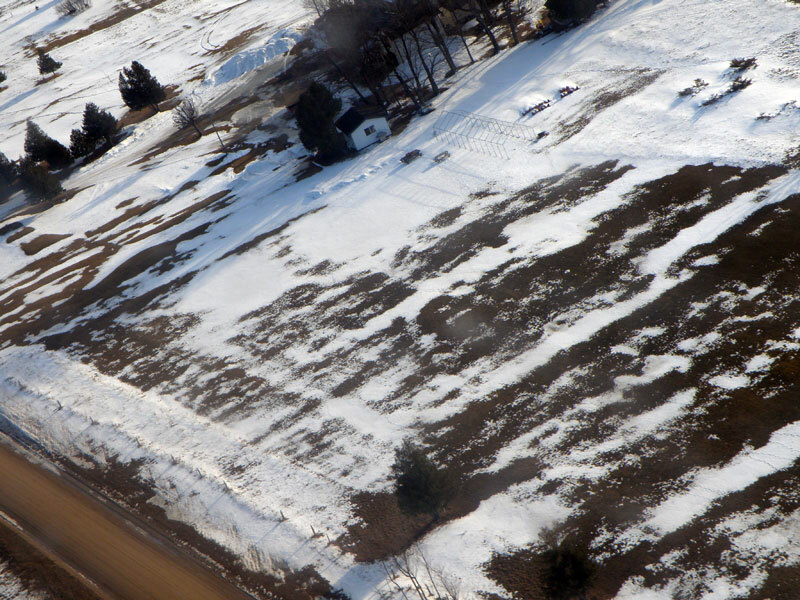 Some even suggested that there was absolutely no way the township supervisor, the assistand supervisor, and the current assessor could get the job done before the State of Michigan took over the assessment role from Peaine Township. Individual board members suggested that they felt left out of the meetings with those that had received a Request for Proposal for this reappraisal job. The public still seemed quite concerned that the current assessor, nor the supervisor, nor the assistant supervisor had completed the first five steps of the plan that was approved by the State of Michigan for Peaine Township to come into compliance with the fourteen point review. Jack Gallagher assured everyone that this job will be done and it will be done correctly. The discussion of the amendment of the Joint Township Meeting Minutes from January 2010 was also quite heated with a member of the audience calling for a "Point of Order" and declaring this discussion to be out of order. Another exclaimed with a reference to the former airport committee, "Just hang them all." Of course, his reference as interpreted by this editor, and since he was a former airport committee member, was that that was what the supervisor was trying to do to the airport committee members. In actuality, the expansion of the airport means one thing to one person, and another thing to another person. The real issue here is that those having a discussion about the airport expansion do not have the same definition in mind as they discussed it. One side seems to think that the necessity to increase the property in order to trim trees for the west approach is what is meant by airport expansion. Another side thinks that the proposed building of another terminal is the definition of the airport expansion. What is necessary is a face-to-face discussion about the definitions and then a serious and successful discussion can begin. UPDATE: It's interesting how much work a server crash can provide to the website editor. None of the subscriber information was included in the upload, when the website was uploaded to the new server. This creates a great deal of extra work for the editor, who must not only check the website pages to make certain they have all uploaded properly, but also to re-enter all subscriber information. Imagine what a job this would be if there was no backup of the data. Some people might even give up, but not this editor. A few hours of extra time and a few moments of frustration were not to deter this editor from accomplishing this goal. If you have had any difficulty accessing the Beaver Island News on the 'Net website, it may be that the editor was working on the subscriber list at that time. You may have had a few moments during the day on February 9, 2010, that the website was not available. If so, we apologize, but know that we are determined to get the website back to its original state. Thank you for your patience. The webserver that hosts Beaver Island News on the 'Net crashed and died today, February 5, 2010. The host of the website stated that it should be back up and running soon, but it didn't get back up right away. As a matter of fact, in order to get it back up and working, the editor had to upload everything from the year 2009 and 2010 so far. It took most of the afternoon and into the evening to upload the whole website to the new server. It should be working now. If you are reading this, then it is working. There is still more checking to do to make sure that everything uploaded properly. It may take a day or two to resolve any issues. Michigan Attorney General Mike Cox has developed a website ( www.stopasiancarp.com ) and is asking for your signature to put pressure on the powers in Washington D.C. to approve shutting down the canal system in Illinois to prevent the spread of the invasive Asian Carp into the Great Lakes and eventually into the rivers of the state of Michigan (such as the Grand River, the St. Joseph river, the Detroit River, the Red Cedar river etc.). Most of you have heard or read the testimonials from the biological experts who have stated if the carp make it into Lake Michigan it will devastate the fishing industry in the Great Lakes region and eventually do great harm to the tourism industry in this state as well as the other states which have shores on any of the Great Lakes. In December it was reported that DNA material from the Asian carp was found within 6 miles of Lake Michigan. 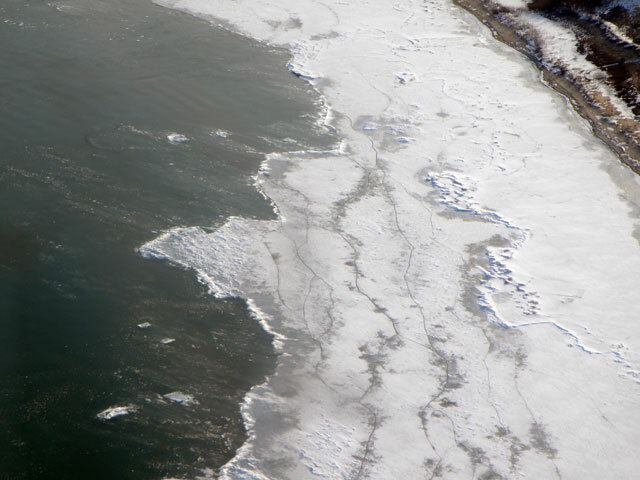 In today’s news (1/12/2010) more DNA material has been found within just a mile or two of the opening to Lake Michigan. Cox is asking for all our help to go onto his site and electronically sign his petition to help put political pressure on Washington to take immediate action. President Obama ran on a platform that he would be the “Great Lakes President” and was adamant that we could not allow invasive species, like the Asian Carp, into the Great Lakes. But last week he announced he would not support the move to close the Illinois canal system. He is facing political pressure from his home state of Illinois, the only Great Lakes state that is fighting the closure of the canal system. Political pressure has to come to bear on Washington to change the Administration’s stance on this. Would you look at the website listed above and if you are in agreement, electronically sign the petition? Also, please forward this information to your friends, relatives and other contacts who live in Michigan. Time is critical on this issue. As Cox states on his website, once they get into Lake Michigan we won’t get a second chance to stop the devastation that will occur. 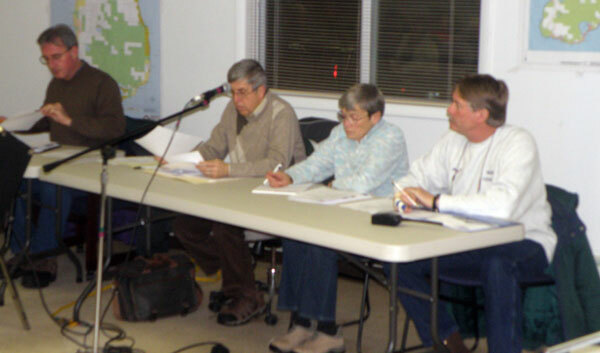 The St. James Township Board Meeting took place on Wednesday, February 3, 2010, beginning at 7:30 p.m. 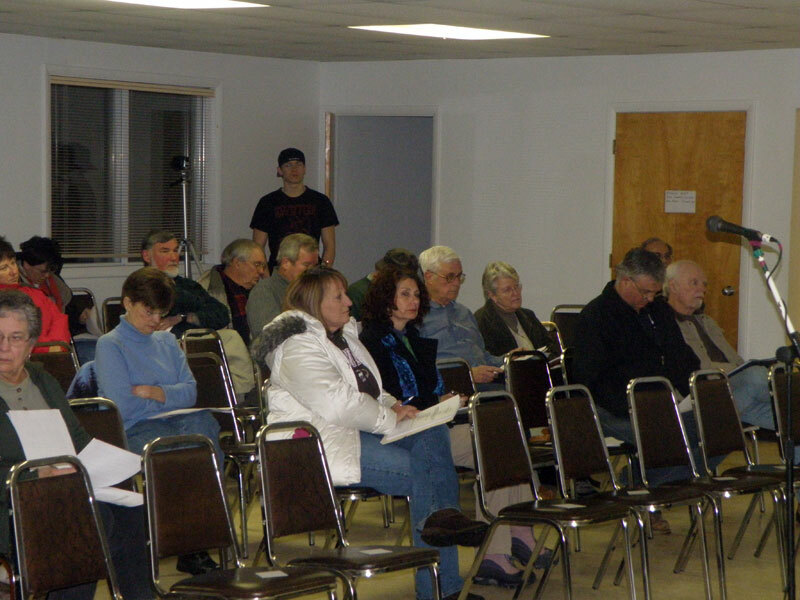 This meeting was longer than the majority of this township's meetings, lasting more than an hour and twenty minutes, but this was for a very good reason. 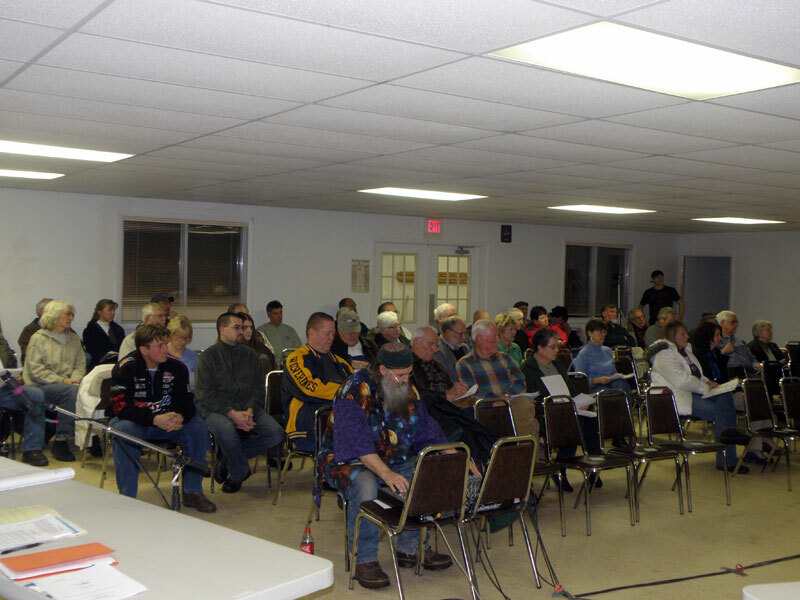 Several audience members had excellent questions related to the reappraisal of property in St. James Township, and these questions were more than adequately answered by the two partners in the running for the re-appraisal bids. These two ladies were much more prepared and actually came to the Island to support their proposal. Their proposal was about $30,000 less than the other proposal received with cost to St. James property owners of approximately $68,000..
For those without high speed Internet, the library board posting brought three applicants, and the Board chose Lori Saunders to take this position. The other two applicants were present at the meeting and were asked if they wanted to be considered for the Human Resources Commission. Kathy Tidmore was appointed to fill the St. James position to this organization. The minutes of this meeting should be available in about a week and will be posted when received. 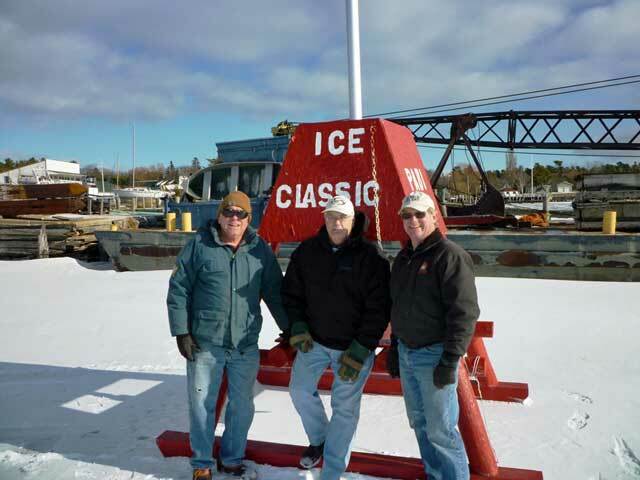 The 2009 Beaver Island ice classis is under way after the indomitable launch team of Bob Banville, Ed Troutman and Don Tritsch placed the tower on the ice February 3 rd . 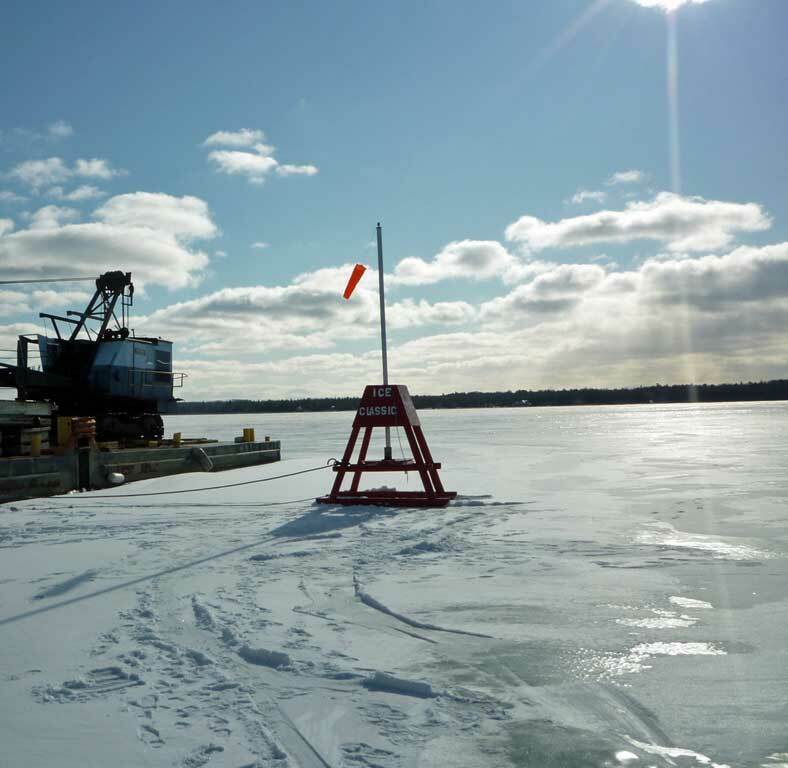 The purpose ofthe contest is to guess the day, hour and minute when the tower will go through the ice. Last year the tower went into the water on March 29 th and the winner collected over $600! Ticket proceeds will be shared 50/50 and the net proceeds go to help operate the Beaver Island Community Center. Tickets are$5.00 each or 6 for $20.00 and are available from any PABI board member, the Community Center or at McDonough's market. 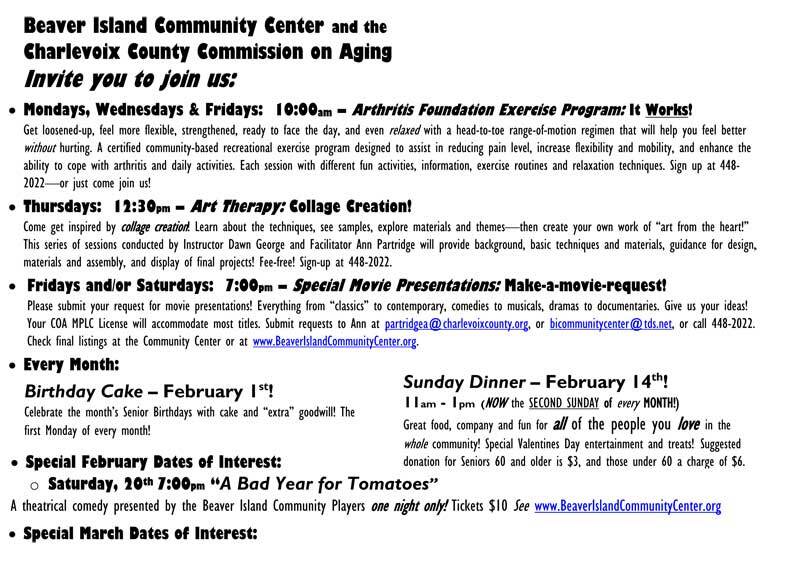 If anyone off the island is interested tickets contact Bob Tidmore at 231-448-3088 or e-mail him at b_tidmore@hotmail.com . If you have nothing interesting to do on these long winter days, clean out that closet, attic, basement or garage and bring your unwanted "Treasures" to Island Treasures Resale Shop. We can always use your donations of clean, gently used clothing; men's, women's and children's. We also will take donations of small appliances, furniture, children's books, cookbooks, and dishes. We also have all of our winter coats on sale at this time. Thank you, Resale Shop Staff. 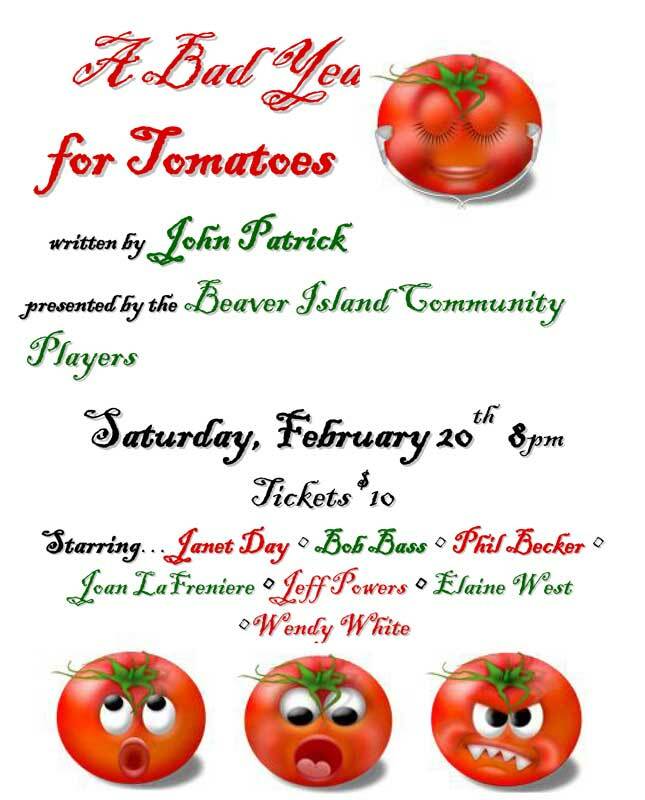 The Beaver Island Community Players presented “A Bad Year for Tomatoes” on Saturday, February 20, 2010, at 8 p.m. at the Beaver Island Community Center to a full house. The comedy setting was a rural community on the East coast and was full of funny, quirky characters that attendees loved. In the spotlight were: Jan Day, Jeff Powers, Phil Becker, Bob Bass, Joan LaFreniere Banville, Wendy White, and Elaine West. Elaine and Jeff stole the show with their hilarious skits. The production was directed by Jacque LaFreniere with assistant director Lisa Gillespie. 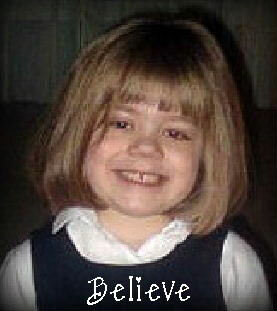 Emmy has a March 5 discharge date from Mary Free Bed. She and her parents will be home either the 5th or the 6th. 880 feet this morning! no stopping or slowing down our girl! There are quite a few subscriptions that will expire or that have already expired in March, 2010. We appreciate your support and ask you to renew your subscription as soon as possible. Emails have been sent out, but quite a few have been returned without delivery, which means that BINN does not have your current email address.